The 5th edition of the eCAC40 Trophies organized by "Les Echos Executives" according to a methodology designed by the expert and digital champion of France at the European Commission Gilles Babinet, was held on October 9 with the exceptional presence of Mounir MAHJOUBI, Secretary with the Prime Minister, in charge of digital. Saint-Gobain was rewarded on this occasion with the special "UX Culture Client" Award: a great recognition for the efforts made by the Group's digital communication / marketing / HR / IT & Innovations teams! 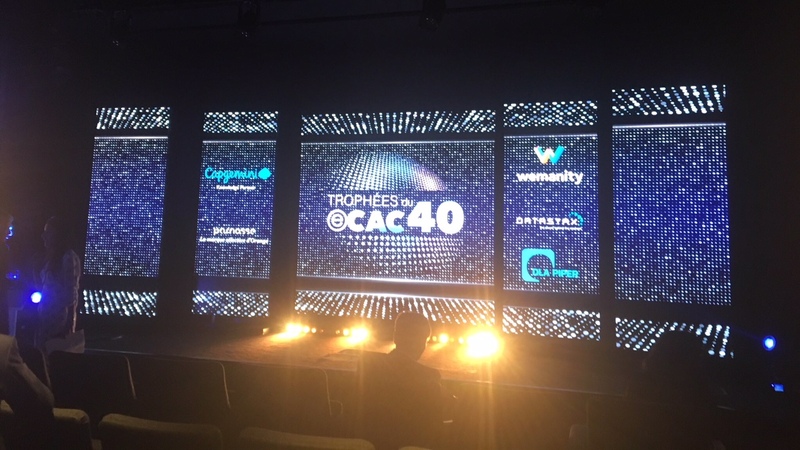 Patrice Richard, President of Saint-Gobain Distribution Building France & Southern Europe received the Trophy #ecac40 representing Saint-Gobain. Saint-Gobain is in the Top 10 of the standings and hopes to move forward next year. #DigitalStrategy is one of the key elements of Saint-Gobain's strategy!